It’s been a while since we’ve checked in, which I guess is good and bad – good because we’re busy; bad because I haven’t been keeping you up do date. Nevertheless, in case you were worried, rest assured we’ve been hard at work in Irvine and on a couple of other big projects (let’s face it, given a choice of sleep or blog, well, you get it). 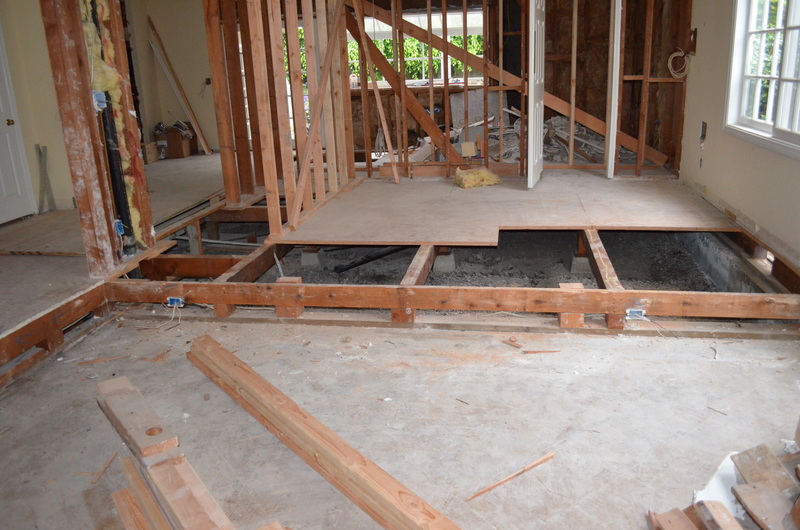 Since my last Irvine update, we’ve had to secure a few more permits because we added a few more elements to the project. More on that below. 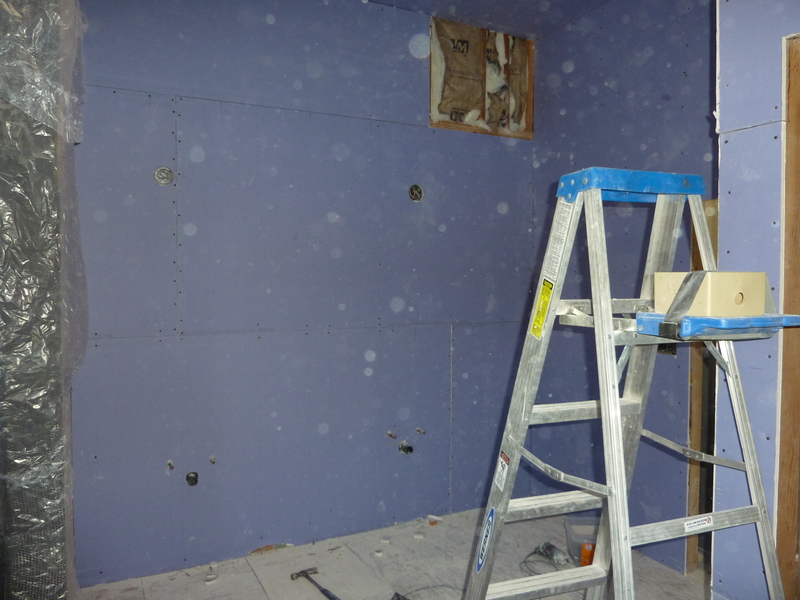 Now we’re done with all the framing, the new plumbing and electricity are installed and good to go, and it’s time for drywall – and wait til you see the color (no, Sapir, we’re not leaving the house purple). So where should we start? 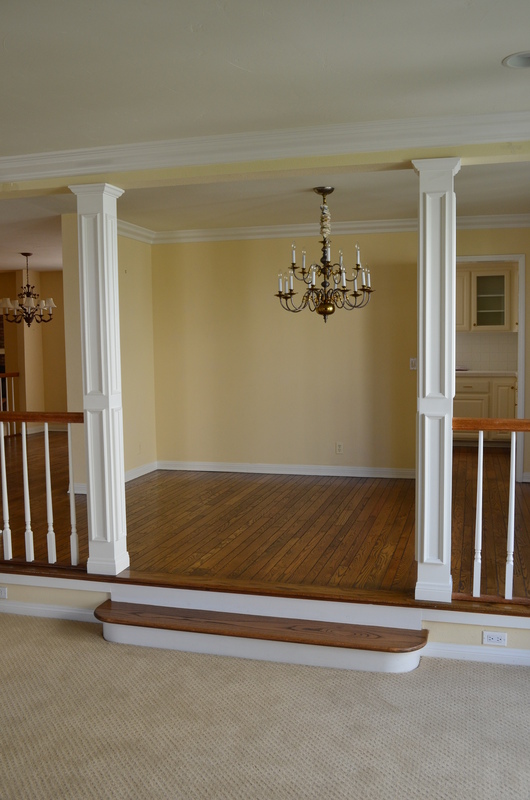 How about the family room? 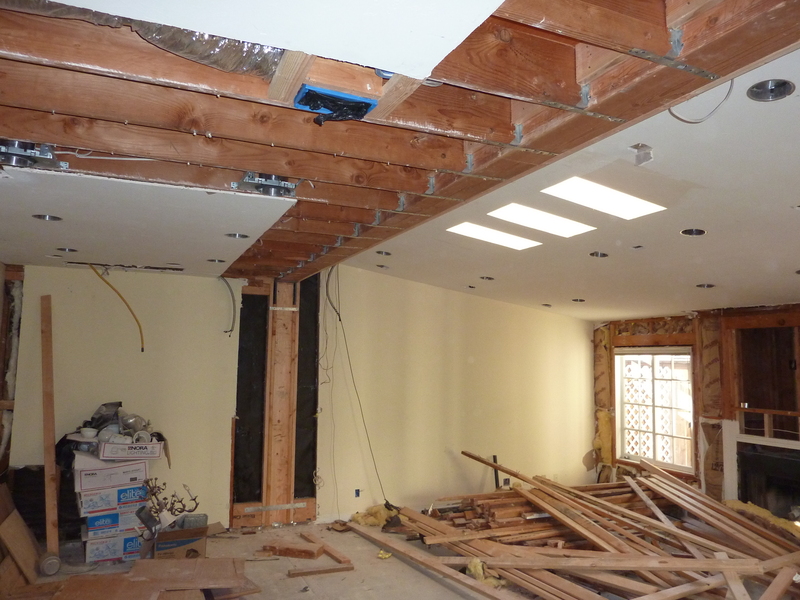 The big news here is that I succeeded in getting rid of that intrusive ceiling beam that divided the original family room from the addition. This one. From the photos, it may not seem like a big deal, but believe me, it is. 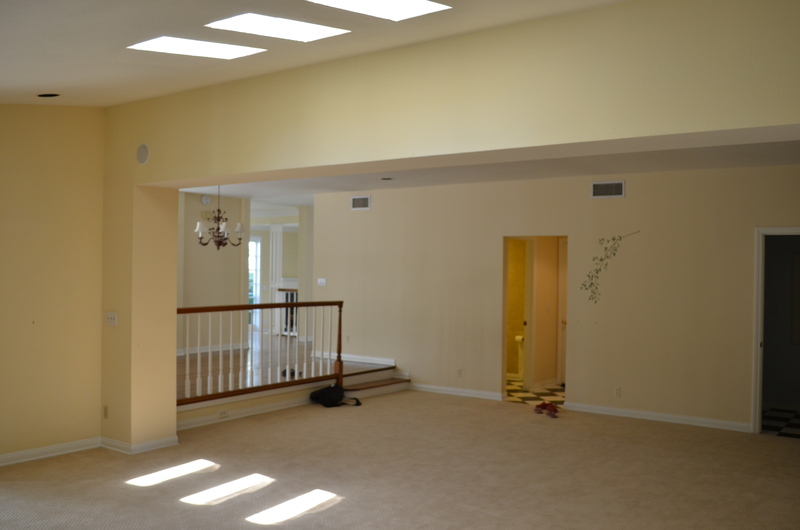 That beam divided the room and made the ceiling feel lower than it really was. 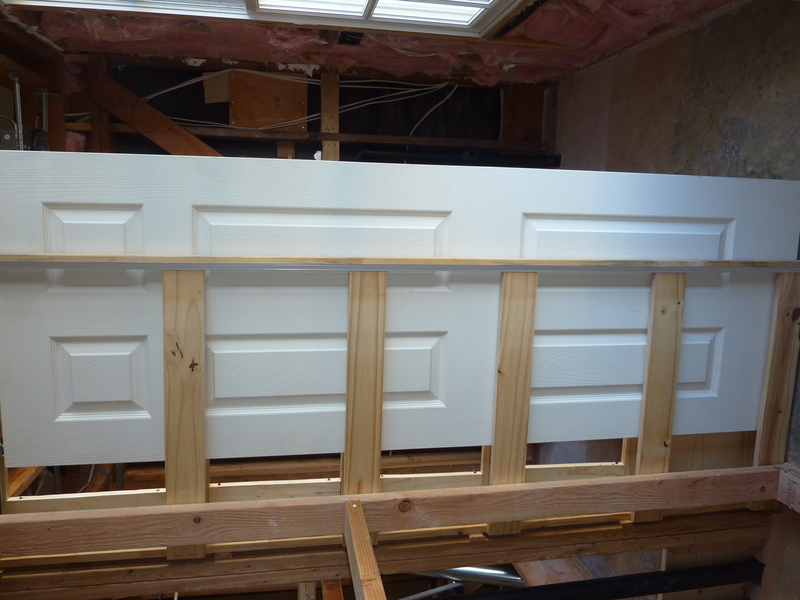 Plus, functionally, it made it hard for the room to work. 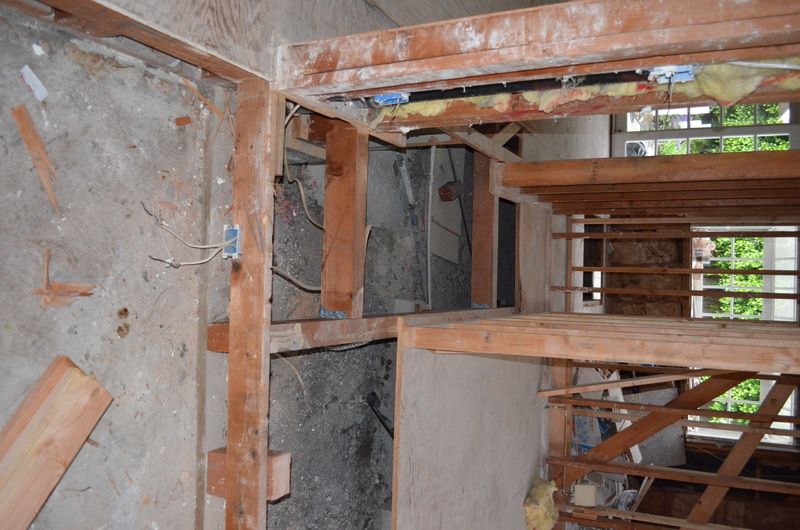 We needed a special permit to remove it, but it was well worth all the effort – even the inspector agreed. 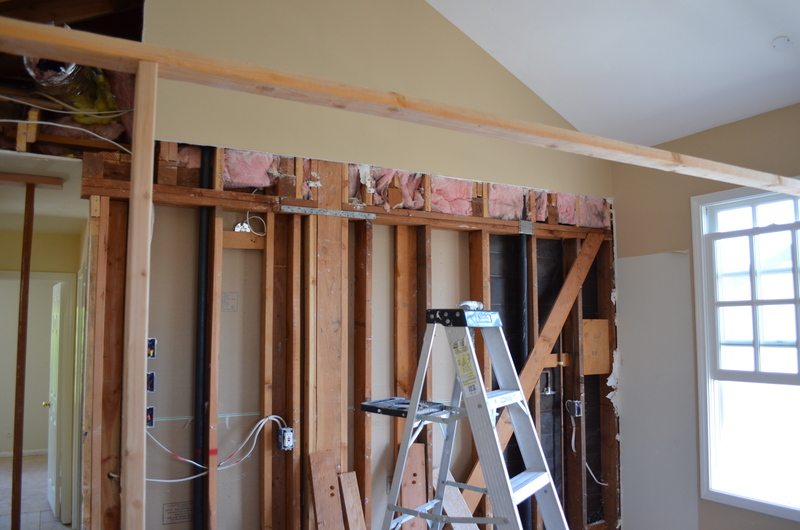 With that beam gone, we’ve opened up the entire room, removing the artificial divider and making for a much more comfortable and functional living space. 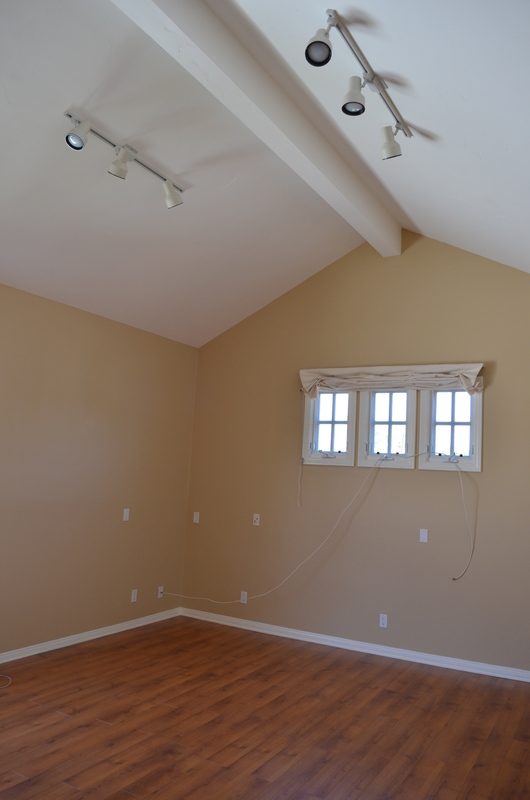 And, there is a much more spacious feel to the entire room. 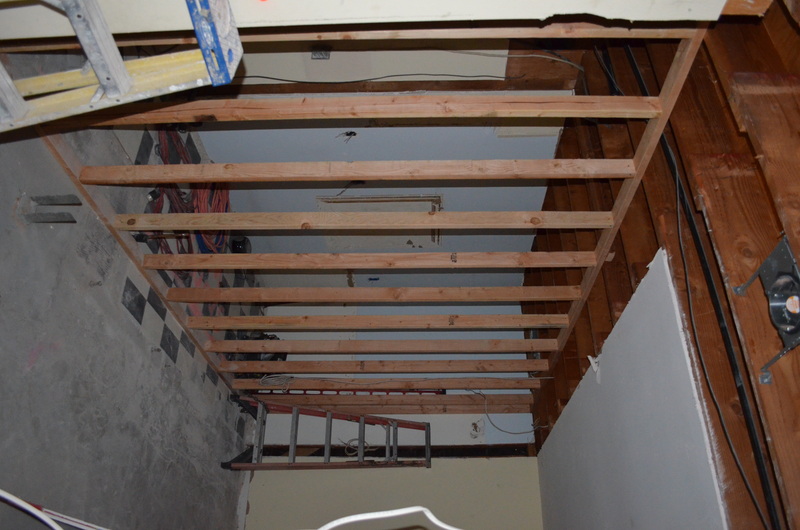 On the other side of the room, we finished the structure for the new office. Have a look. 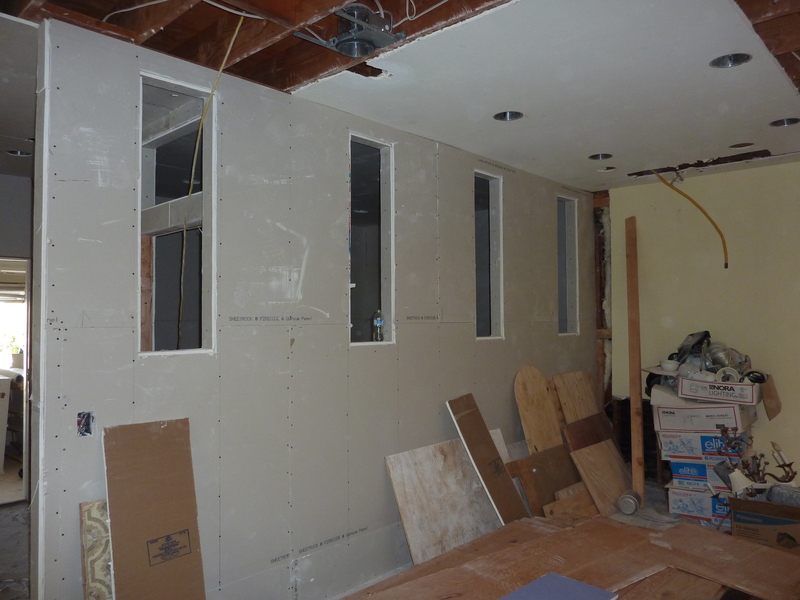 The city won’t let us install windows on the outside wall because the house sits on a zero lot line (I guess they don’t like neighbors playing peek-a-boo), so to bring in light, we installed five interior windows – four on the wall adjoining the family room and one over the door. 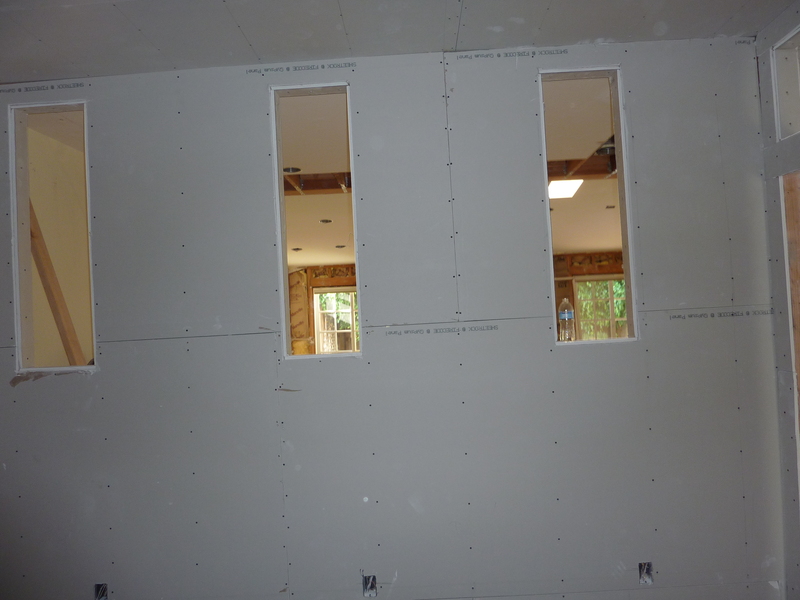 These will be filled with frosted glass that will let in light but maintain privacy on both sides. 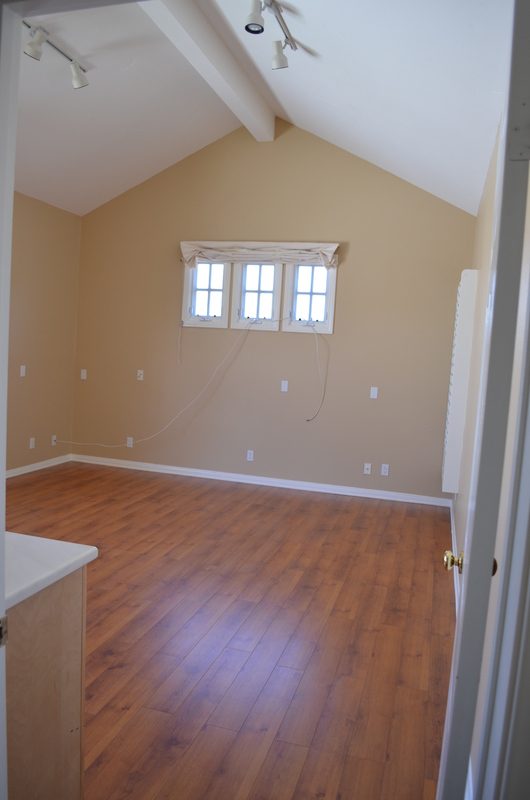 Thinking about resale, this room could be used as a guest room, nanny’s room (since it’s downstairs, the family has privacy upstairs), or any other kind of bonus room. For now, it will be an office with a door that locks, keeping little hands away from important papers and expensive machines. 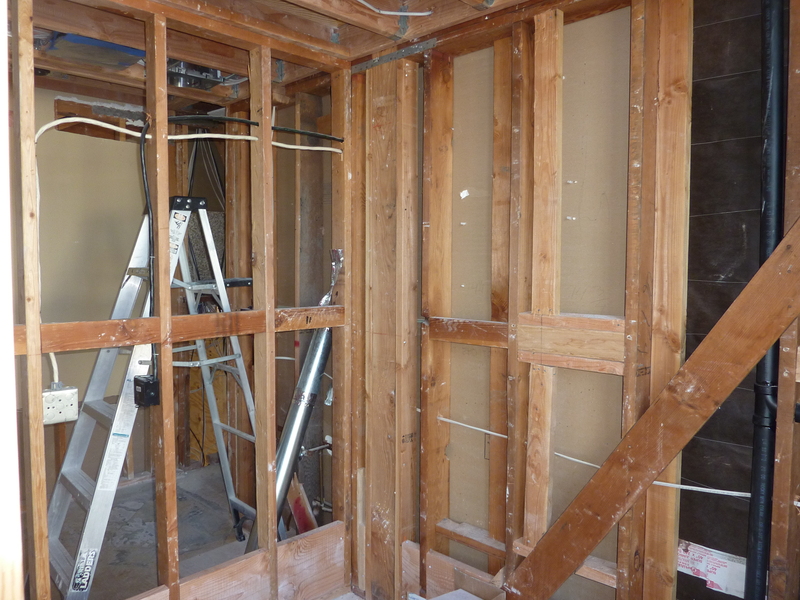 Outside the office, you can see the makings of the kitchen workspace. 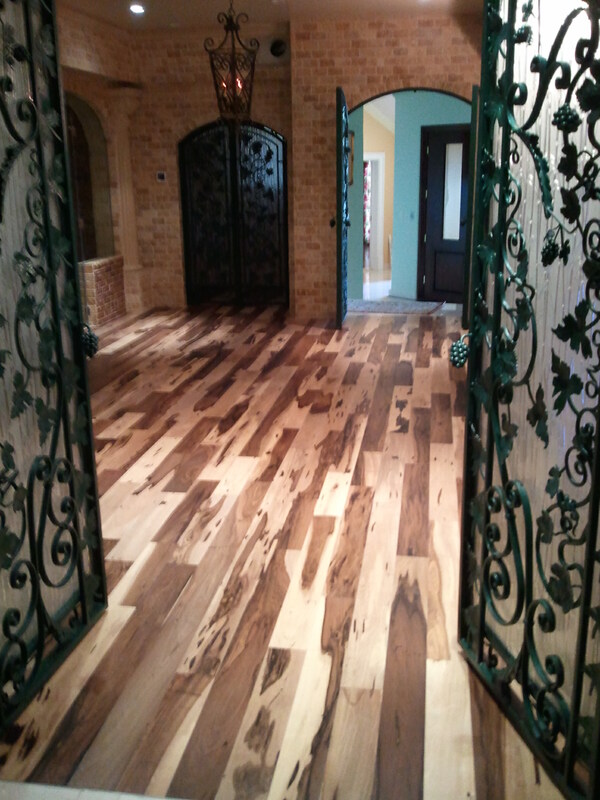 We call it “Grand Central Station,” because that will become the functional center of the home in terms of the family and its activities. 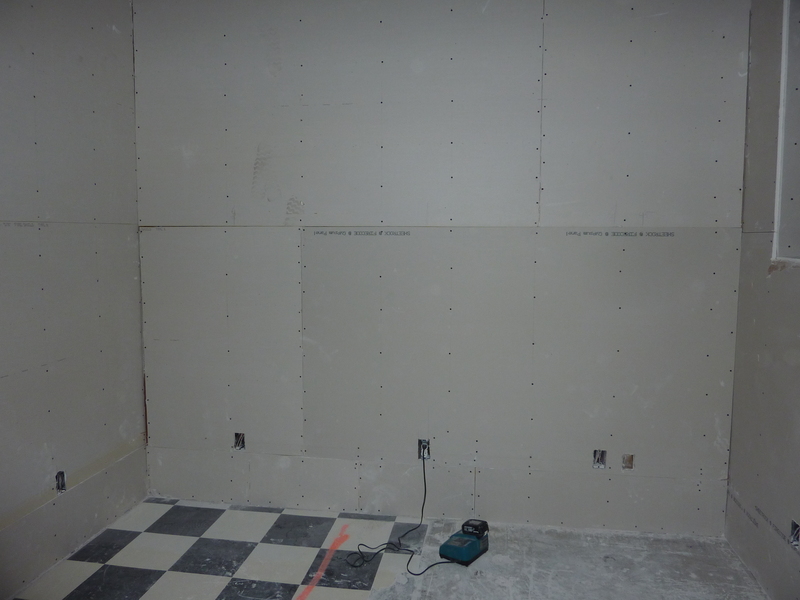 Here in the kitchen, you see that special drywall I was talking about. Dig that color. It’s very high quality and prevents mold and mildew- the Scarlet Letters of resale – from developing. 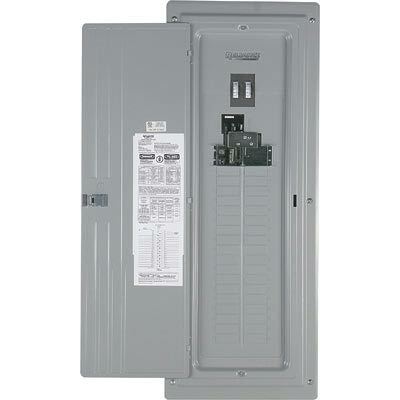 This is a great example of how thinking ahead can save $$$. 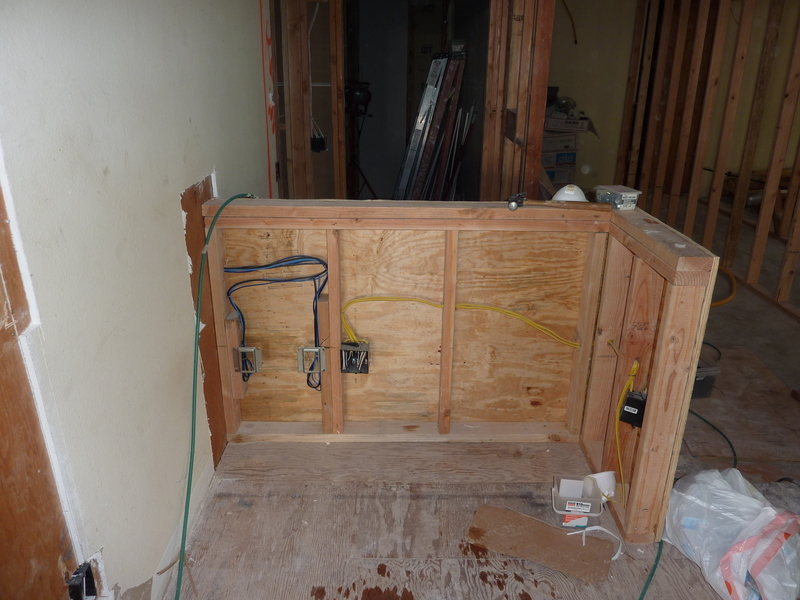 Upstairs, we’re finishing up the “behind the scenes” work in the two bathrooms. Here’s the master. 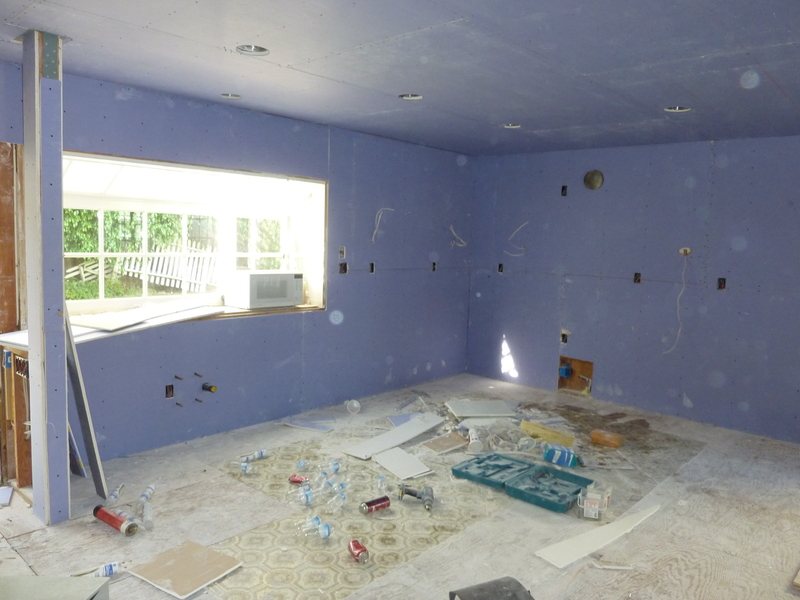 Again, our lovely purple drywall, for obvious reasons. 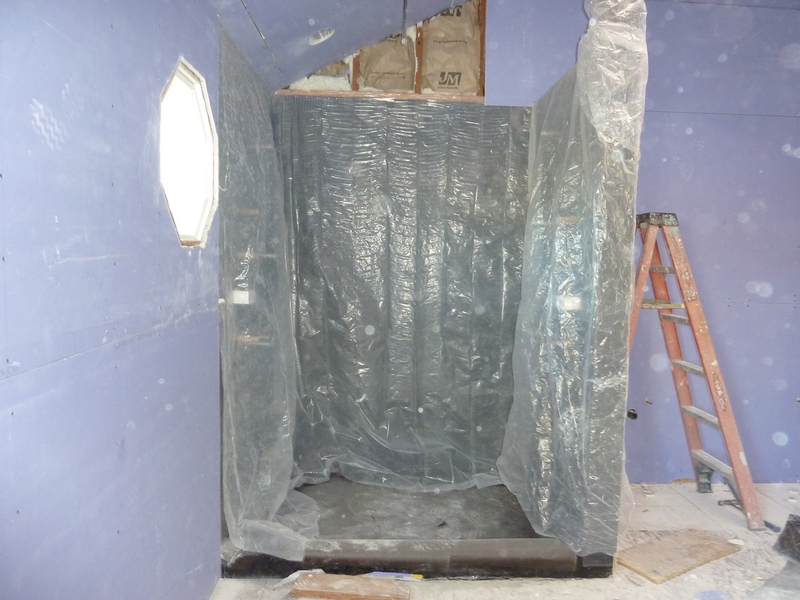 Shower going in with jets on both sides. Can’t see them under the plastic, but they’re installed and ready to go. Dual vanity will go here. 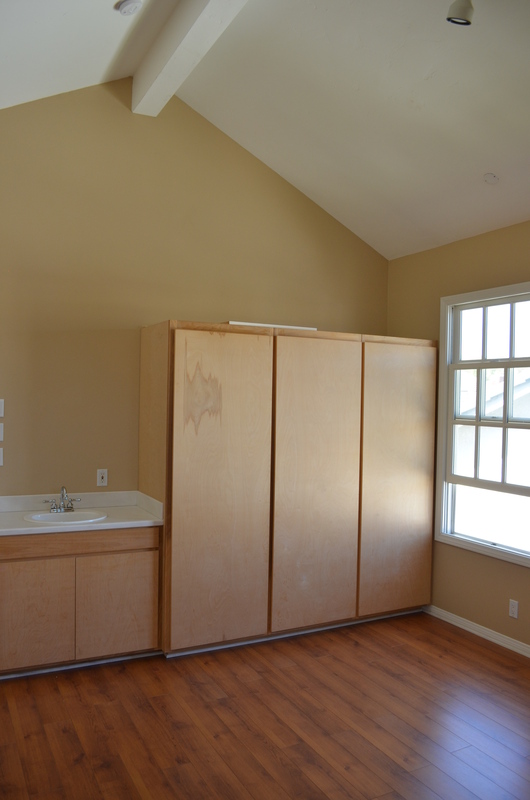 And in the fourth bedroom, we’ve installed a pocket door for privacy in the bathroom. 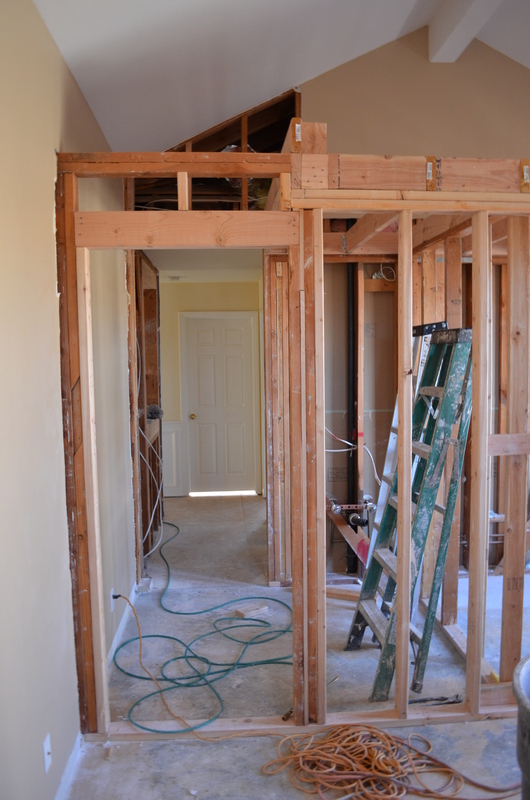 That’s the framing for the closet you see below, with the bathroom on the other side. So that’s where we are. New windows and doors are coming this week. Stay tuned. 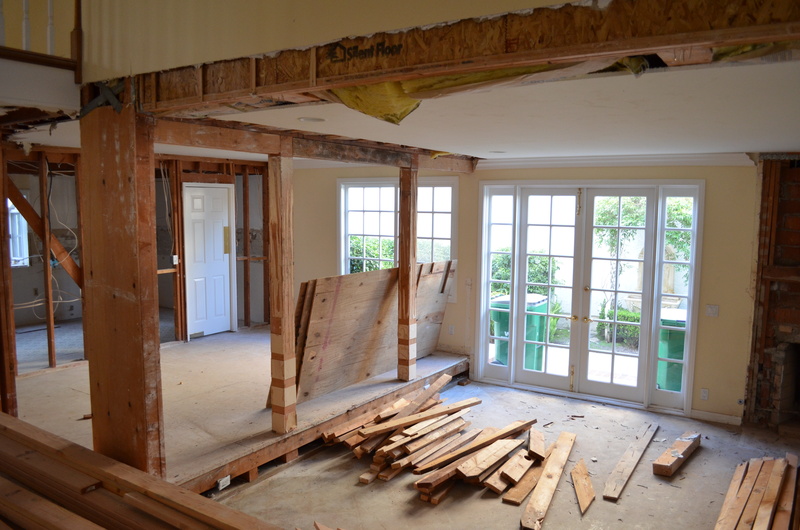 Thinking about renovating? 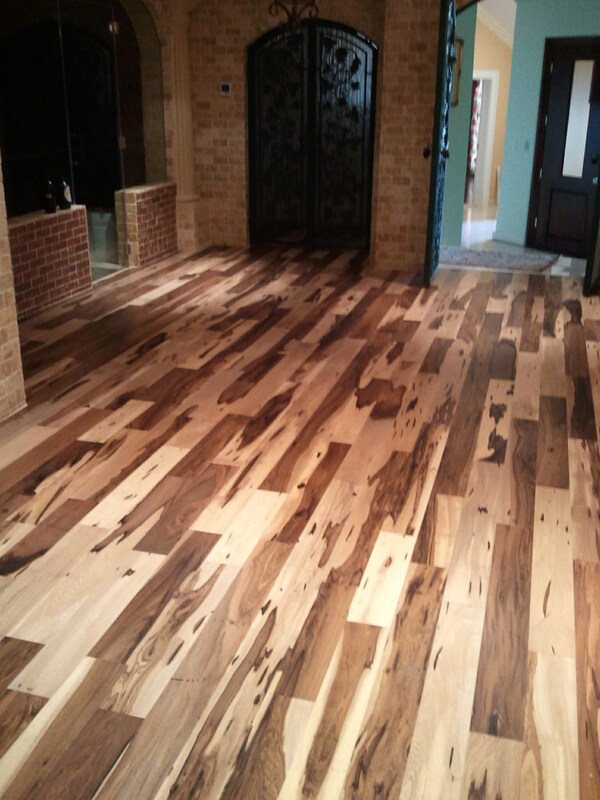 Contact Doron at 949-228-5218 or doron@edenflooring.com for your complimentary, expert consultation.